I do love a little bit of lemon. Lemons and chocolate can always be found hiding somewhere in my kitchen. Truth be told I never return from my weekly shop without at least two lemons and 100g of 70% dark chocolate. That's just how I roll. Lemon posset, lemon meringue pie, zesty lemon chicken, the list of lemon loveliness is endless. This evening's recipe is no exception. 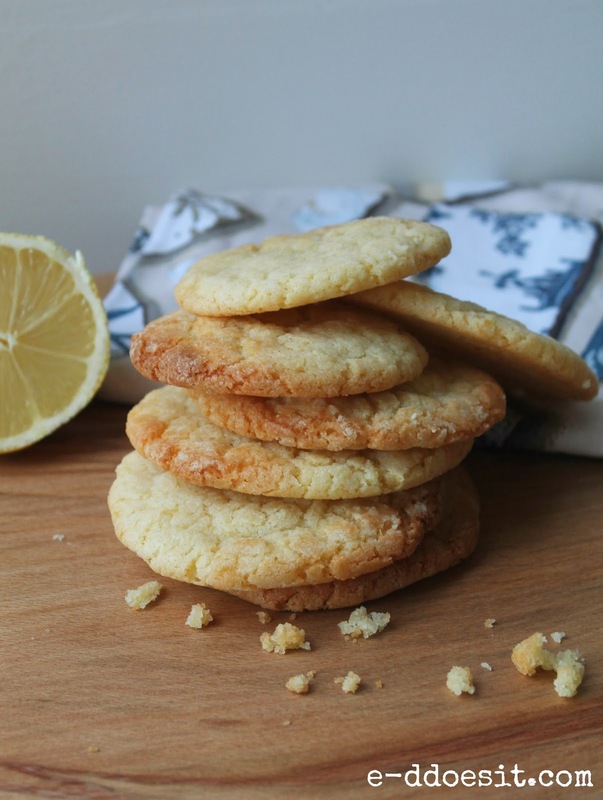 These luscious lemon crinkle cookies are a gift I made for a fellow lemon lover who has just moved in to her new home. 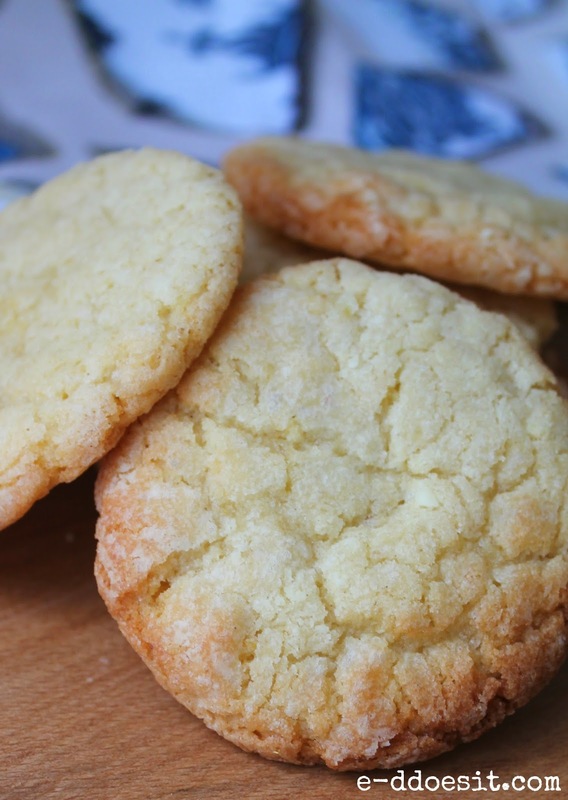 They are the perfect combination of crunchy and chewy, crisp and soft, light and lemony. Now for the hard part, leaving them all wrapped up and trying not to touch them. Challenge accepted. 1. Preheat the oven to 180C. Line two baking trays with grease proof paper and grease well. 2. 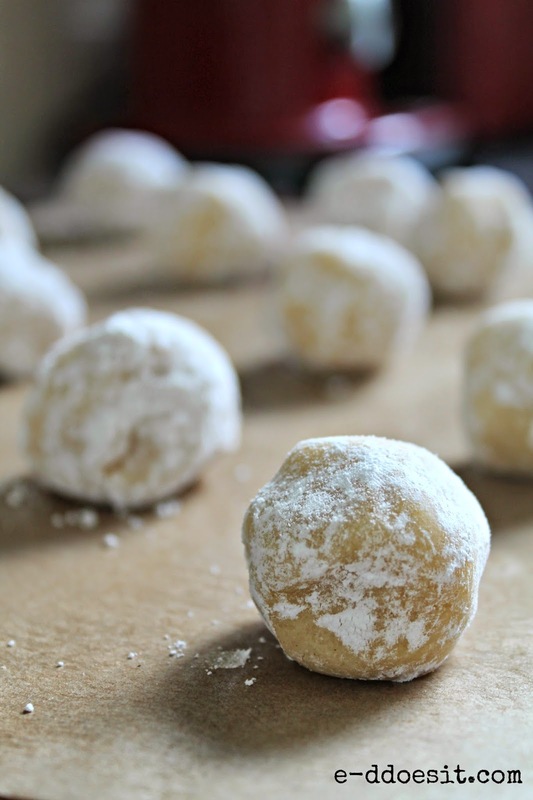 In a bowl, mix together the softened butter and sugar until pale and creamy. 3. Next add the beaten egg, vanilla extract and lemon juice and zest. Mix until well combined. 5. Place the icing sugar in a bowl. Measure a generous teaspoon of the dough and form a ball. the cookies will spread when cooking. on the baking tray, before transferring to a wire rack to cool completely.